First, it is beautiful. 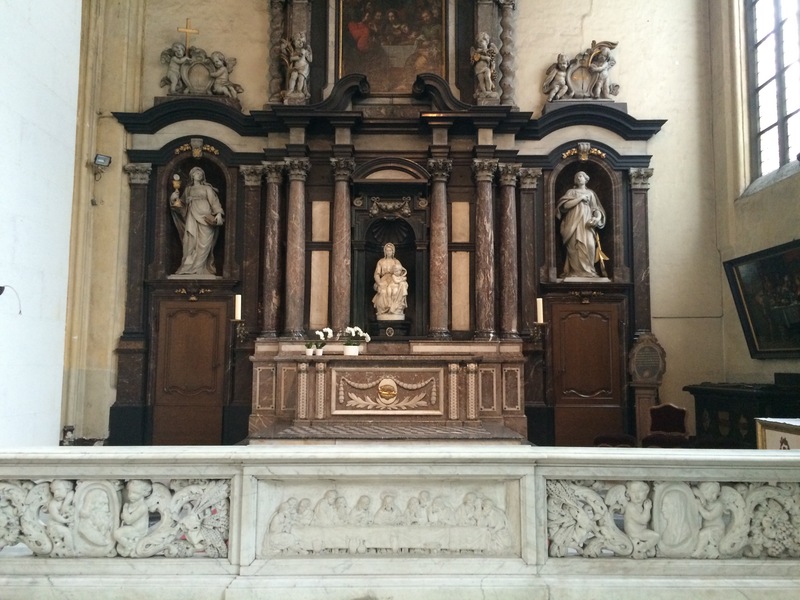 There are three major church towers in the city, and inside at least the one of those churches (the one I visited on the first day of my visit), the history and artifacts are impressive. I wandered into St. Salvatore’s Church in the middle of a youth orchestra’s performing a bit of music that was both moving and lovely in its melodies and rhythms. It was the sort of thing I’d never find in the States (not that such occurrences do not happen, but they do not happen often enough that one would ever be likely to stumble into the middle of such a performance). The second, apparently, contains some of the actual Blood of Christ, while the third contains Michelangelo’s statue of Mary (with Child). The lanes are lovely and lined with quaint oldish brick buildings, and the canals – though some of them smell faintly of piss – are quite pleasant to admire as well. Here’s the rub. Most of the streets are clogged with so many tourists as that you’re more likely to spend your walkabout dodging aged shoppers than checking out the local architecture. Cheap food isn’t much of a thing here. Street restaurants have reached such a point of consumer saturation that they not only line most main squares and outlying parks, but that they sit shoulder-to-shoulder and feature menus with not a single selection priced below 20 or 30 euros. 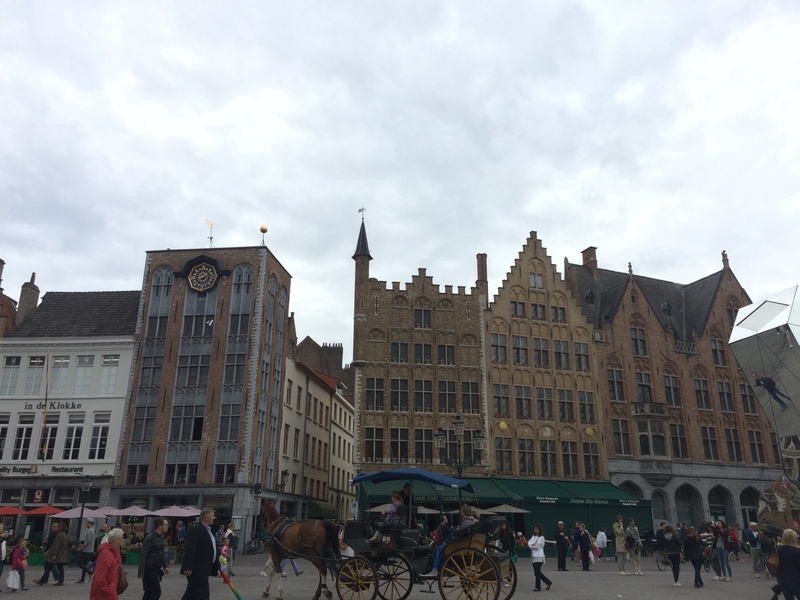 Chocolate shops and waffle trucks (this is Belgium, after all) are numerous, but it’s tough to make the choice to wander into one of them, since all will require waits in lines or (again) dodging shoppers. And the shopping. It’s a mall-shopper’s paradise. The businesses that aren’t pricey restaurants bear the same name brands one meets on 5th Avenue or Via del Babuino. The problem is, this isn’t just a district, since the whole of the old town (inside the canals) is the size of a single district. If you’re a beer drinker, do not despair. Just the same as if you really fancy chocolate, this is the place for you, however. Locally brewed beers are featured in every restaurant, pub, and café. Every shop that isn’t a name brand or a fancy restaurant is a beer emporium. 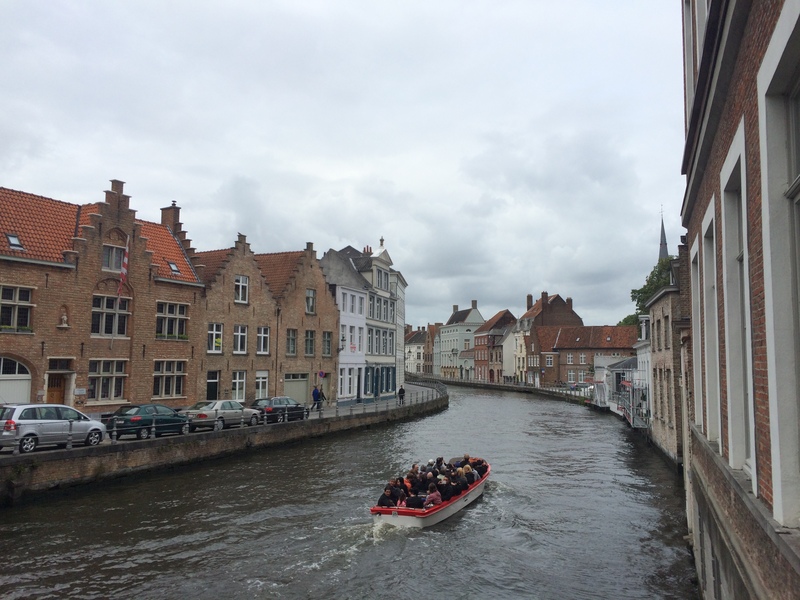 I’m neither a beer drinker nor a chocolate-obsessive, so much of what would be good about Bruges is spoilt for this traveler. As in Brussels, as well, the national food seems to be frites/fries; this is not cool at all. Thus: Skip it (unless you love beer, chocolate, rubbing elbows with [other] tourists to the exclusion of locals, and spending a lot of money to no practical purpose). Note: Bocco (take-away) is a good low-cost option, with boxes of pasta ranging from 4-7 euros. 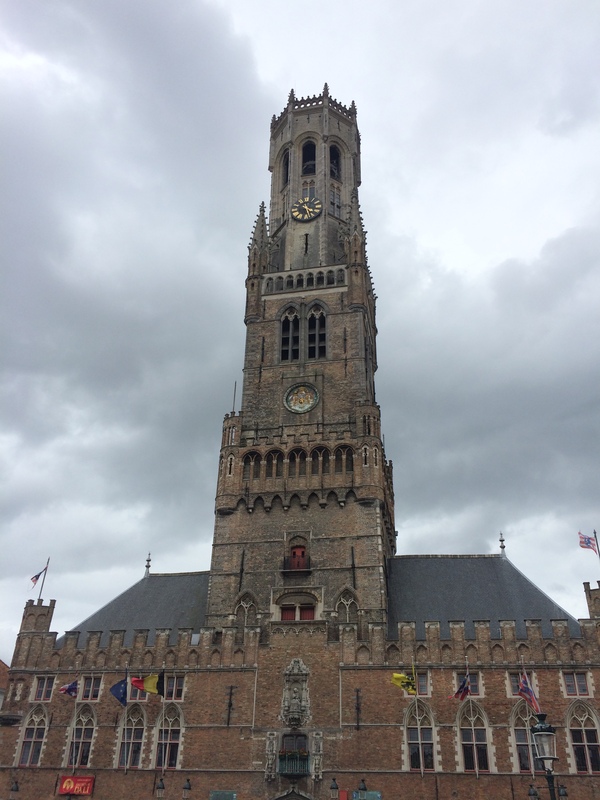 This entry was posted in 2015, Travelogue, Travelogue 2015 and tagged backpacking, Belgium, Brand Names, Bruges, chocolate, europe, Europe Trip, expensive places to visit, Tourism, tourists, Traveler, traveling. Bookmark the permalink.